Nicky is a long serving and valued member of the Hickleys team, having held positions in Service reception, Accounts and Administration and more recently having a significant input into the organisation of our largest division "Diagnostics", Nicky's skills were ideally suited to the organisation and management of the new training division. 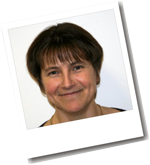 As Training Coordinator, Nicky ensures that the delivery of quality training is consistent, regularly reviewed and appropriate, the coordination and administration is first class and most importantly you get value for money from your training. 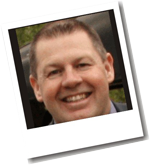 Our lead trainer Andy, was trained to open vehicles in 1988 while working as a mechanic for the RAC. Andy subsequently went on to pursue a career in the police until August 2011. In 2005, he was given permission to have an approved business interest and opened his own locksmith business. Having refreshed his training by attending the MB Locks course when it was run by Mike Byham, Andy Specialised in the field of Auto Locksmithing and attends between 500-800 vehicles a year and specialises in lost key replacement and EEPROM manipulation. 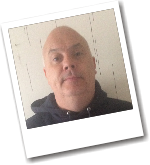 Since early 2009 Andy has worked closely with Hickleys Ltd providing training for the ZedBull/ZedProg EEPROM applications and Vehicle Entry Course, being an approved instructor on the Mr Li Picks. Since November 2010 Andy has run the MB Locks training having taken over the reins from Mike, subsequently moving to Hickleys with the acquisition of the training centre. Lee has worked for Hickleys for many years. 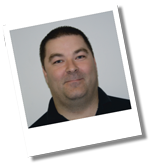 At the tender age of 16, Lee started in our Auto Electrical division as an apprentice Auto Electrician. He rapidly rose through the ranks to the position of workshop foreman. After emigrating to the sun for a few years he returned to Taunton and Hickleys welcomed him back as a critical member of our key programming technical support team. Lee now trials new developments, operates our eeproming service and is a critical member of the training team. The love of all types of locks started at a young age for Jason when he was mystified by magicians and escapologists, and practiced lock picking until he could master the illusions . This naturally lead him into locksmithing as a career where he found that he had a particular talent in defeating all types of high security locks and safes. Jason now specialises in non destructive entry and has been teaching and passing on these skills for many years, having qualified many years ago as an accredited NCFE trainer and the leading trainer for a competing company, 1st Call Lockouts. We are now very fortunate to have Jason teaching his skills at the Hickleys Training Academy. Jason is one of the very best locksmiths in the UK and his training skills are under great demand having trained around the world for commercial, corporate, military and the government. 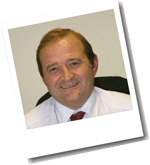 Robin is the Managing Director of Hickleys and another long serving member of staff having served 39 years. Starting off in our workshops as an apprentice Auto electrician, he then rose through the management structure to his current position as a director of the company. Various divisions of the company come within his control including our Electrical & Diesel Workshops, Garage Equipment, Diagnostics and the Training Academy, he also spends much of his time researching the best suppliers and products for Hickleys to represent in the UK market. Robin also acts as a reserve trainer for the academy, having years of knowledge and experience in auto electrics and more recently the technical aspects of the auto locksmith market, such as key programming & transponder technologies. He is able to train various subjects within our range of courses. 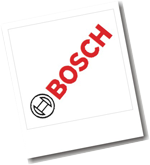 Bosch use a range of specialists to deliver their training, depending on the subject matter and complexity of the course content. Whether they use their own staff or an industry specialist in that product area, you can always be assured of consistently high quality training delivered in a structured manner that enhances learning to give you the very best skills.